An ordinary 38-footer could not be placed in the large yachts category, but the latest Beneteau Oceanis 38 could be an exception. The modern design by Finot-Conq Architects emphasizes the open space wherever you may step on this yacht. The cockpit and deck surfaces are freed from any unnecessary gear, whereas handling the sail and other deck equipment is easy and ergonomic. There is a roll bar above the cockpit where the mainsail sheet is located which makes the cockpit more spacious. The mast has a central position while the sails are well balanced to enhance the feeling of freedom for the skipper and his crew. 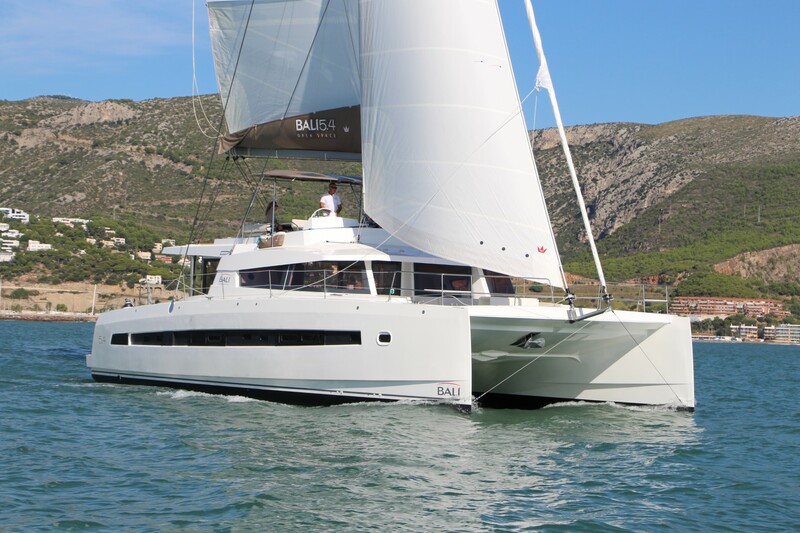 This brand new line of the Beneteau Oceanis boats tends to fulfill a wide range of demands. 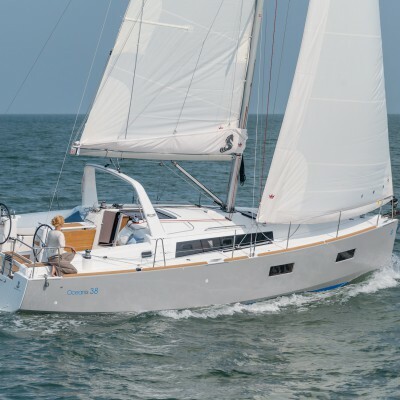 Solo sailors would be as happy with this boat as would people with families who charter yachts for their summer vacations, or adventurists who like a more dynamic and radical sailing. Depending on the owners’ demands, the interior could be designed as an open single space or divided into two or three cabins. The deck and interior design by Nauta Design Company emphasize the feeling of warmth and joy due to light wood and the dark floor while all curves in the space are soft. The kitchen and saloon are designed in a minimalistic manner, which gives the owners room for their own customized design ideas while charterers could benefit from the feeling of space and freedom. The length overall is 11.5 m while the beam is 3.99 m. This yacht comes with two types of the keel, which means that her draft would be 1.6 m or 2.05 m. The yacht is powered by a 30 HP engine which is absolutely enough for this small but great vessel. 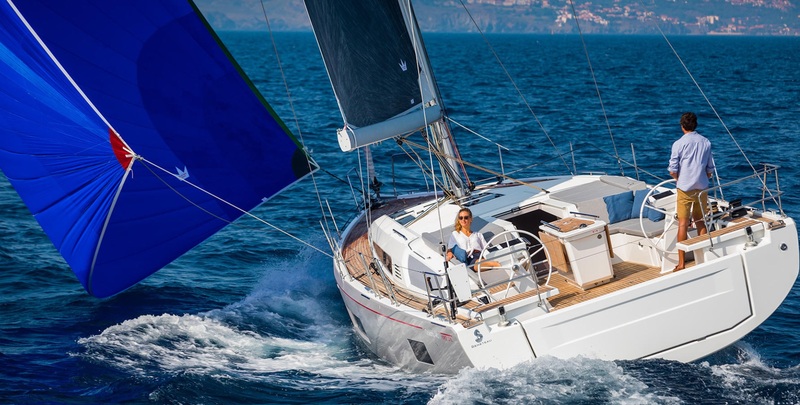 The inclination is reduced due to the hull design and well-balanced sail sizes, which makes sailing with this yacht even more comfortable than with Beneteau Oceanis yachts with which we used to sail. Regardless of the type of the sailor you are, sailing with this yacht will be a true relaxation for sure.